Are you fed up of trying to tackle your hair in this heat? 1. Use the right shampoo and conditioner for your hair type. This is so important. The PH of your hair needs to be balanced, so starting with the correct products for your hair type will make a big difference. Ask your stylist what they recommend. 2. 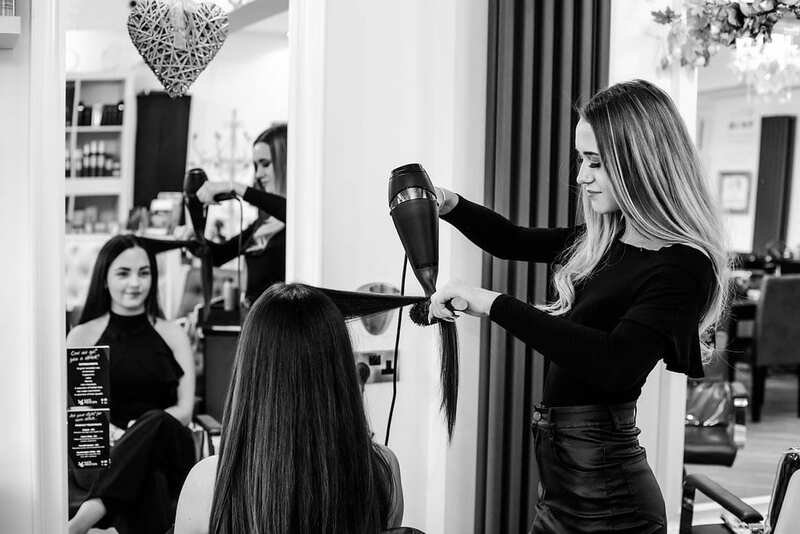 Use products that give your hair volume, our favourites at KP are Kerasilk volume blow dry spray or KMS root and body lift. These are applied on wet hair and create so much volume in the blowdry that lasts until you next wash your hair! 3. Moisturise. Use a leave in conditioner every time you blow dry your hair, split ends never dry nicely! We recommend KMS moist repair revival cream. 4. GHD brushes – we simply couldn’t do our job without these! They create lift and volume, the middle of the brush heats as you dry making sure every bit of hair is thoroughly dry to stop frizz and help create smooth, shiny hair. 5. Finish – if you have time, pincurl each section and leave for 5 mins before taking them out. This will create the ultimate bouncy blowdry and enable it to last longer. Finish with a good hairspray – we recommend either KMS anti humidity or dry wax.